Rumours have it that Thomas Mapfumo may return to Zimbabwe. It seems unlikely that he will go back to live there, as he hasn't been on friendly terms with the president for a long while. Mapfumo a.k.a. 'Mukanya' has been living in the States for more than a few years now. Musically this doesn't seem to have done him a lot of good, if the disappointing album production is anything to go by. This video is from a concert in 1994 aired by ZBC. No Jonah Sithole on this, unfortunately, but still very enjoyable. As Amadou Bah, then 'chef d'orchestre' of Super Biton once told me, you can't expect to remain true to your culture if you go and live somewhere else. He was talking about Salif Keita... But by this standard Abdoulaye Diabaté is a shining example of an artist who has stuck by his roots. He still lives in Koutiala, which is somewhere between Ségou and Sikasso. And although he moves with the times (i.e. 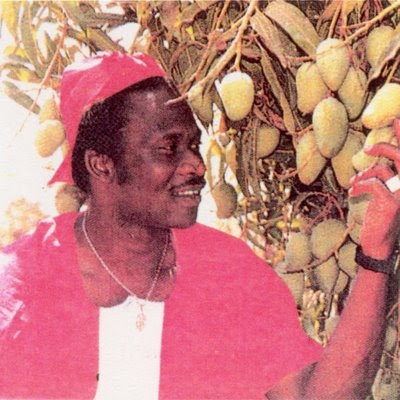 records mainly in Europe), he still plays the Bambara rhythms of his native region. 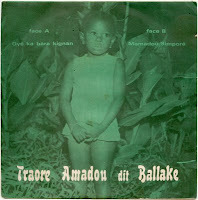 This is a cassette from the 1980s, when he was still recording in Mali. The sound quality may be less than perfect, the music amply compensates this. EDIT June 10, 2013: the link has been updated. 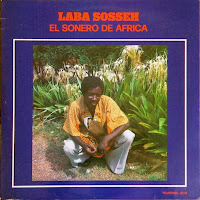 Laba Sosseh is perhaps not the best sonero to come out of Africa, he does have some of the best recordings. And he has inspired and still inspires a great number of other singers. 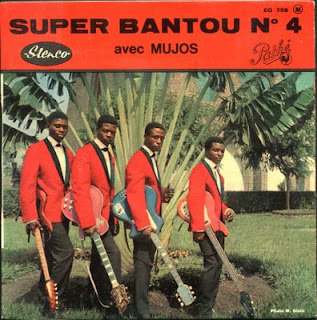 Examples of these great recordings have been released on CD, notably on the Dakar Sound label. I especially like the sweaty ambiance of the live tracks. 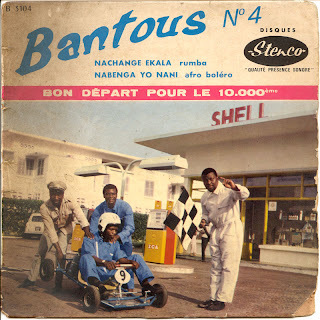 "El Sonero De Africa" which was released in the 1970s on the Senegalese N'Dardisc label has a very d ifferent sound, but still is one of my favorite Laba Sosseh albums. 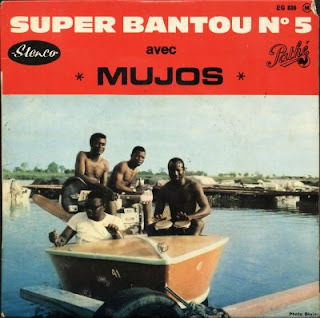 It contains some superb covers of classic Cuban sons (including an near ecstatic version of "Guantanamo"), plus one track ("Mama Yassima") which the sleeve contributes to Laba Sosseh himself, but which -if I am not mistaken- is in fact by Jean-Serge Essous. 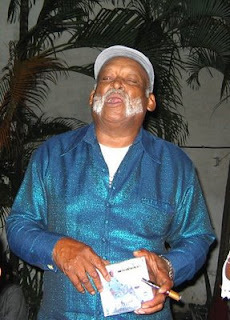 Founded in 1936 Los Soneros de Camacho is at present led by the father of Adalberto Alvarez, who plays tres. My personal favorite is the singer, whose name I don't know but who locals referred to as El Pingüino. In this video he demonstrates how to dance well without exerting oneself. I really like his work, and all of it - the early tracks, Sacodis albums and even the Africando tracks. He is one of the few musicians that in my opinion deserves the ridiculously high prices which online shops have the nerve to ask. I saw that Oriki Music has released a promising looking collection. I haven't heard this yet. 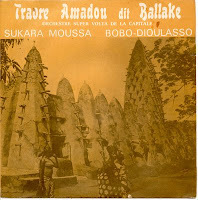 But here are two singles of Amadou Ballaké from his period with the Super Volta orchestra. This man is simply great! In Likembe's recent post of African Divas (very enjoyable, by the way) one diva is missing in my opinion. When you watch this video you'll have to agree that Kandia Kouyaté even at the age of 18 met all the requirements. This clip is from her first performance on Malian television. But her self-assured smile straigth into the camera, that megapower voice, all the little gestures: this is a true diva! Kandia is still active, and I have heard that she has recently recovered from a long illness. I'll post some more of her music in later posts. The video is from the early 1980s and unfortunately has suffered a bit through time. It's over 20 years ago that I made a series of programmes for Dutch VPRO radio based on this weekly show from the Radio Télévision Guinéenne in Guinea. As the title indicates, in this show versions are compared of a certain track. In this case of the song "Camara Mousso". The comparing is done by the suave voice of Jeannot Williams. And even if you don't understand a word of French you'll enjoy the sound of this man's commentary. 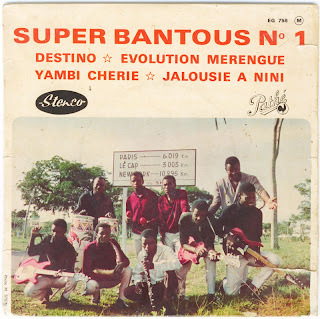 Here are a few EPs and a single from the mid-1960s from the Bantous orchestra from Brazzaville. I am sure I'll come back to this great orchestra in future posts. These tracks have in common that they were all recorded for the Stenco label. The EPs were released on Pathé and are three of a series of five. I am hoping someone has the other two and is willing to share these with us.... (please). Even the sleeves are classics, don't you think? Like many of the great female singers in Mali Coumba Sidibé, nicknamed Coumba Saba, rose to fame when she joined the Ensemble Instrumental National du Mali in the early 1970s. She was, and still is, big in Mali. Coming from the Wassoulou region of Mali she grew up amidst many musical styles, which she blended together when she moved to the capital Bamako. As such she was one of the founders of the style which is sometimes known as the Wassoulou style. Because the kamelan n'goni* plays a dominant role in this music it is often referred to in Mali as kamelan n'goni music. Coumba Sidibé had a big hit in the 1980s with her cassette released by Ibrahima Sylla (a cassette which features - by the way - Zoumana and Dramane Diarra who I mentioned in my earlier post about Daouda Sangaré). In the 1990s she moved to the States where, if I am not mistaken, she is still living today. After her move she has, unfortunately, never risen to the level which she attained living in Mali, and certainly not to the superb level of singing which she demonstrates in this clip from Malian tv. I recorded this onto videotape in the late 1980s, but the clip itself is older. There seems to be a misunderstanding about one of Franco's masterpieces, "Na Lingaka Yo Yo Te". The misunderstanding being that the track is only ten minutes long (or should I say 'short'?). Sonodisc was never very respectful in their handling of their artists. Misspelling of titles and a general lack of information was quite common. But they have also shortened a few tracks. And not just "Na Lingaka Yo Yo Te". Josky's classic "Bimansha" was cut by over three minutes, as was Franco's ode to tailor "Fabrice". And there are more (but I'll save those for another post). Of "Na Lingaka Yo Yo Te" only half of the original track survived the transition to CD. On the original album (FRAN009) the track goes on for a blissful 21 minutes; on CD8489 the track stops after just under 11 minutes. 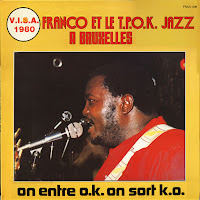 The track, recorded in 1980, is in every aspect unique, because it is the only track of Franco without the (Tout Puissant) O.K. Jazz. Franco played almost all the instruments in this recording. Almost, because performing on bottle and synthesizer were two friends who later became influential politicians. Edit May 28, 2014: the link to the song has been updated. 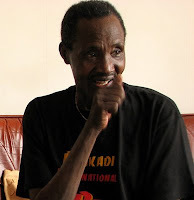 This first post is dedicated to Daouda 'Flani' Sangaré, a friend and musical hero who died in Bamako on January 12, 2008 at the age of 63. 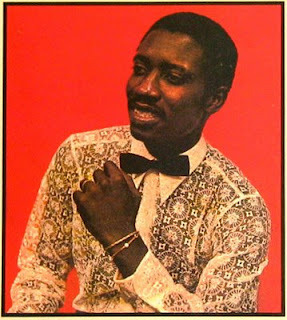 To some he is only known as the lead singer of the Super Djata Band from Bamako, Mali. Few know him as one of the pioneers of the kamelan n'goni music of Mali, which has become known around the world through singers like Oumou Sangare and Nahawa Doumbia. Later on I will post some biographic details of this remarkable singer and dancer. Here is a clip of one of his last performances. I recorded it in Amsterdam, at the Tropenmuseum (on May 24, 2007), during a concert of Benkadi International with guitarist Zani Diabaté and Flani as special guests.